The Fairy Godmothers love working with a couple that thinks outside the norm and having your reception in a museum could certainly fit the bill as not your average wedding venue. 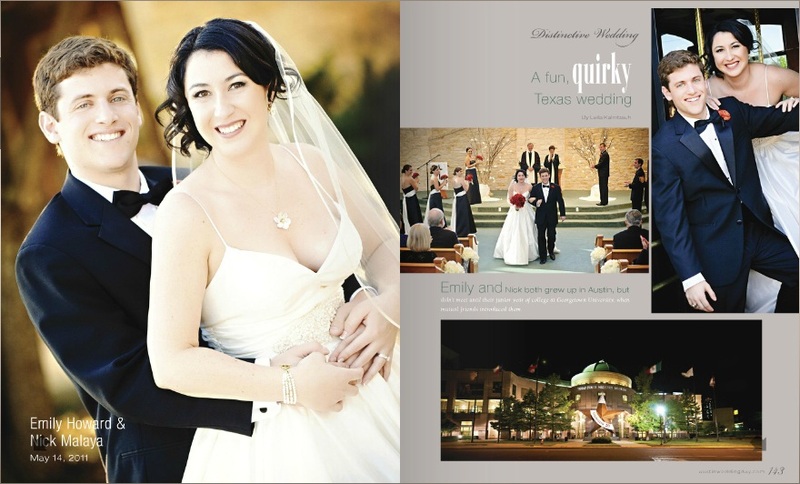 Emily and Nick incorporated many creative touches that truly reflected them as a couple, including holding their reception in the gorgeous Austin landmark, the Bob Bullock Texas State History Museum. 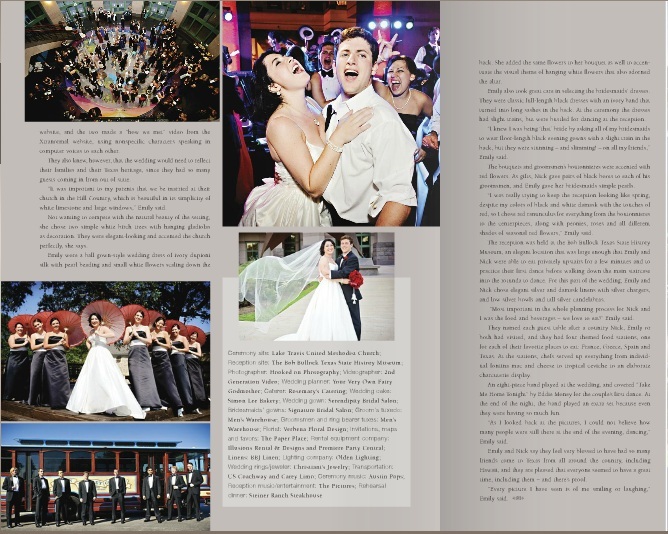 We were thrilled to see their "quirky" wedding featured in this month's Austin Wedding Day magazine! 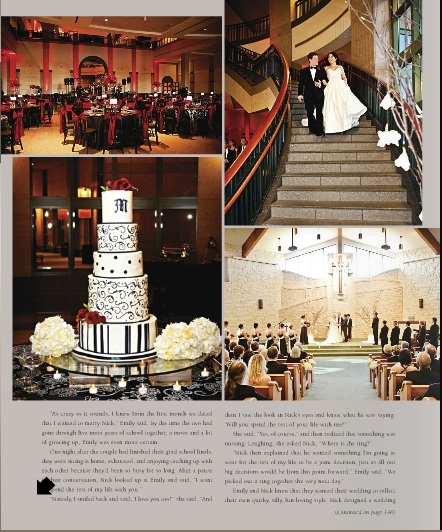 The museum offered many special touches not easily found in local wedding venues - from the grand entrance they made down the elegant staircase in the four story rotunda where guests circled to watch their first dance to the Grand Lobby where guests were able to "dance across Texas" through the night. Emily use of dramatic colors made a statement against the granite trimmed space but it was their creative ability to personalize the reception that was the most memorable. As described in the article, each guest's table was named after a country Nick or Emily had visited and their food stations were themed in food and decor after their four favorite foods.